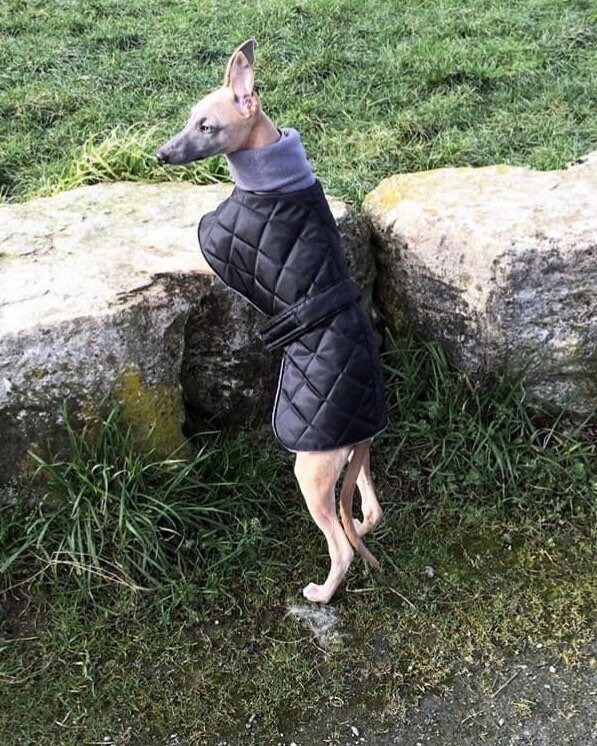 These winter coats are made to order and are cut to fit to shape of your greyhound, sighthound ,whippet and are made with Quilted 2oz wadding onto 4oz waterproof polyester and are fully lined with quality polar fleece. 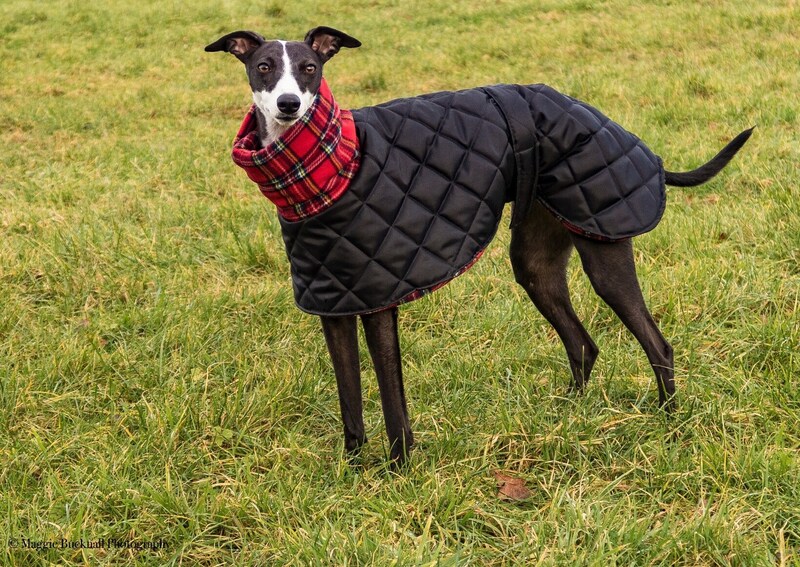 With it’s long fleece neck Designed to go over your hounds head and fasten with adjustable Velcro belt on the waist. 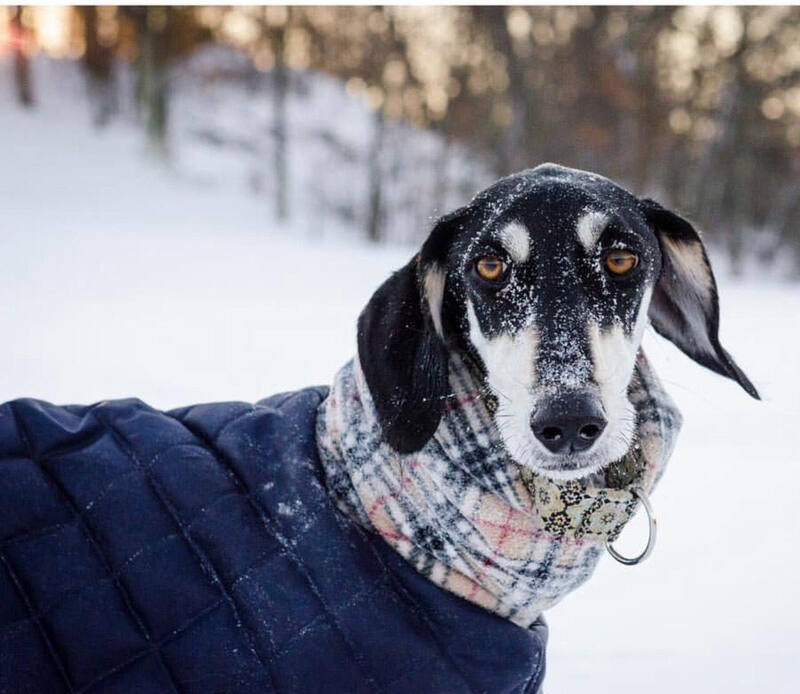 coats are machine washable at 30 without detergent. 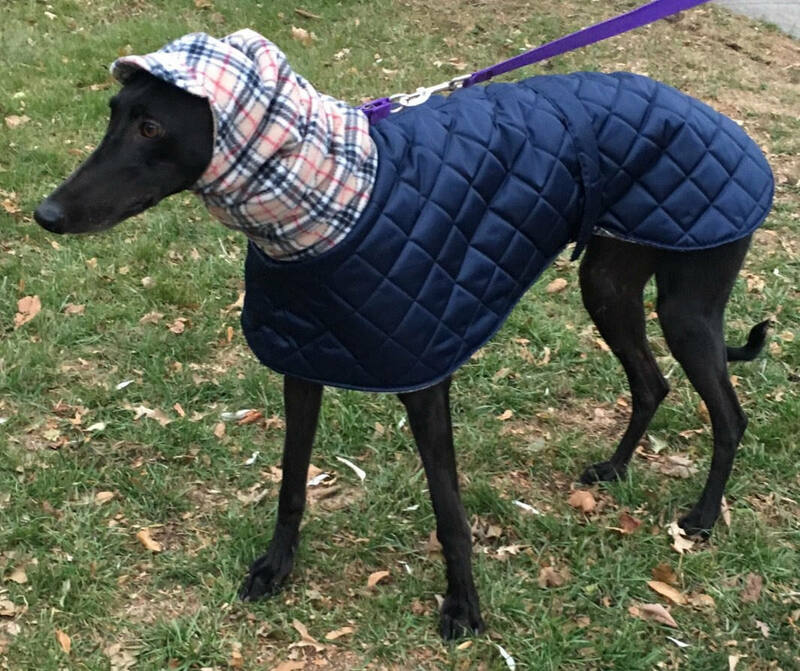 👉Please don't try to guess the size or go with the size from a coat you may already have from another brand as they are all made different and I DON'T except Returns on made to order coats. 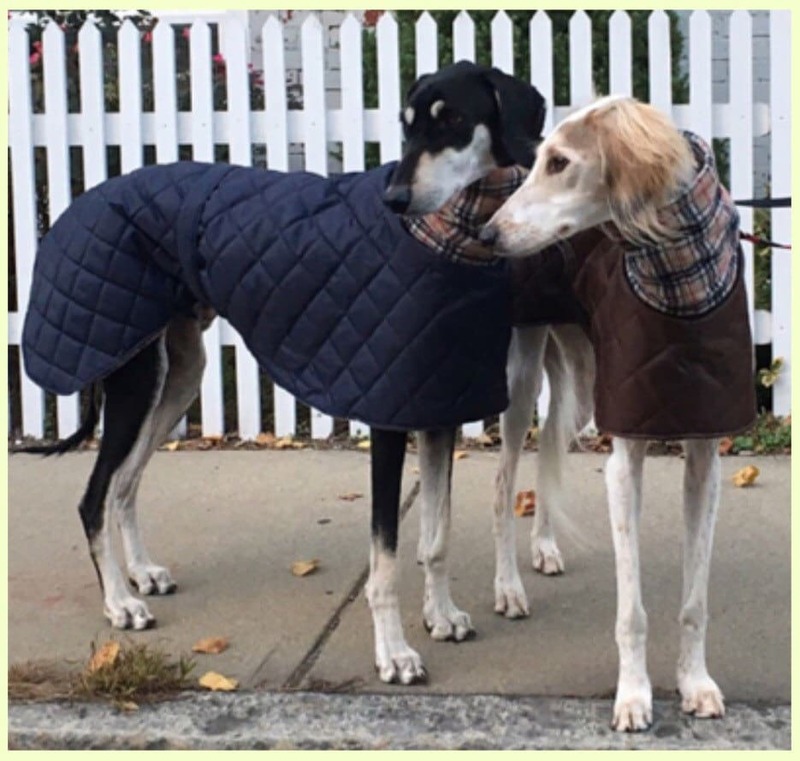 These coats fit beautifully if you can just take 5 minutes to measure if in doubt measure twice. 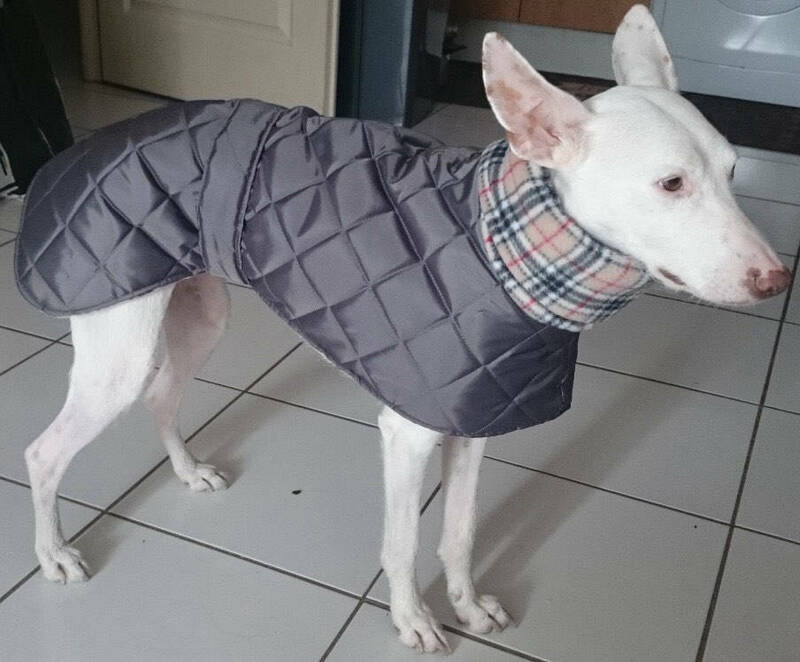 Returns on readymade coats can be made for other sizes. 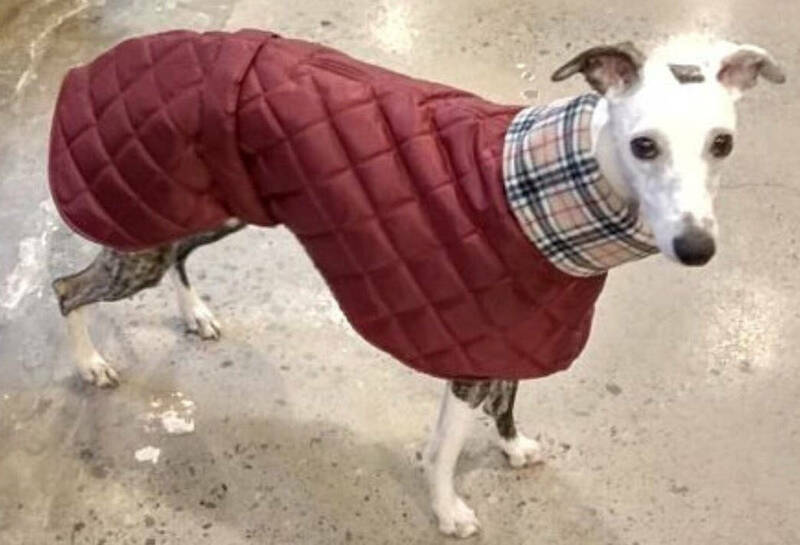 Please make sure you are happy with this before you buy. Chest size for 31" (78.5cm) 32" ( 81cm) 33" (84cm) 34" (86cm) are all 30" (76cm). 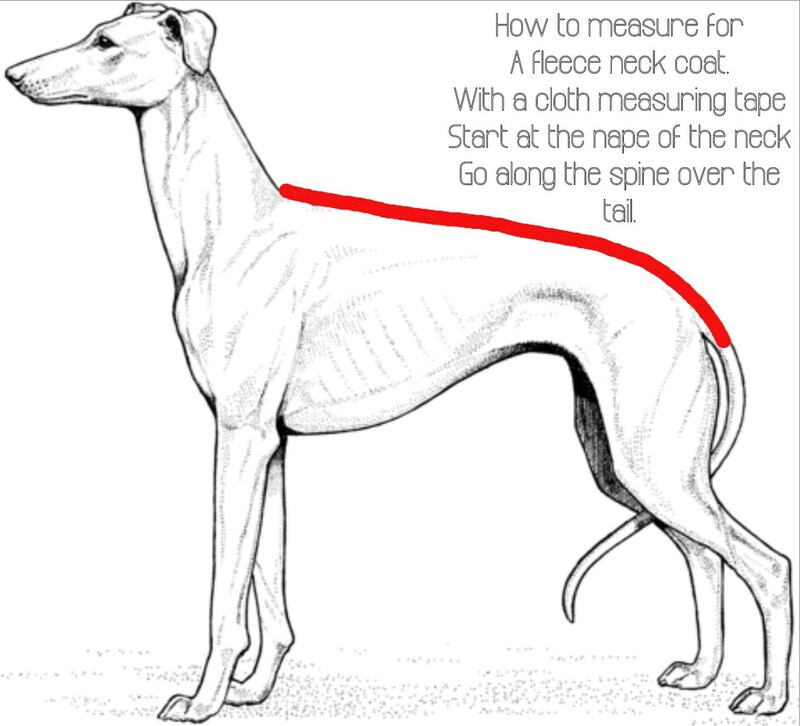 With the greyhound standing, using a cloth measuring tape, ( NOT METAL) take the length of your Greyhounds from the nape of the neck (between the dog's shoulders) along the spine, over the tail to as far over the bum as to where you want the coat to sit. 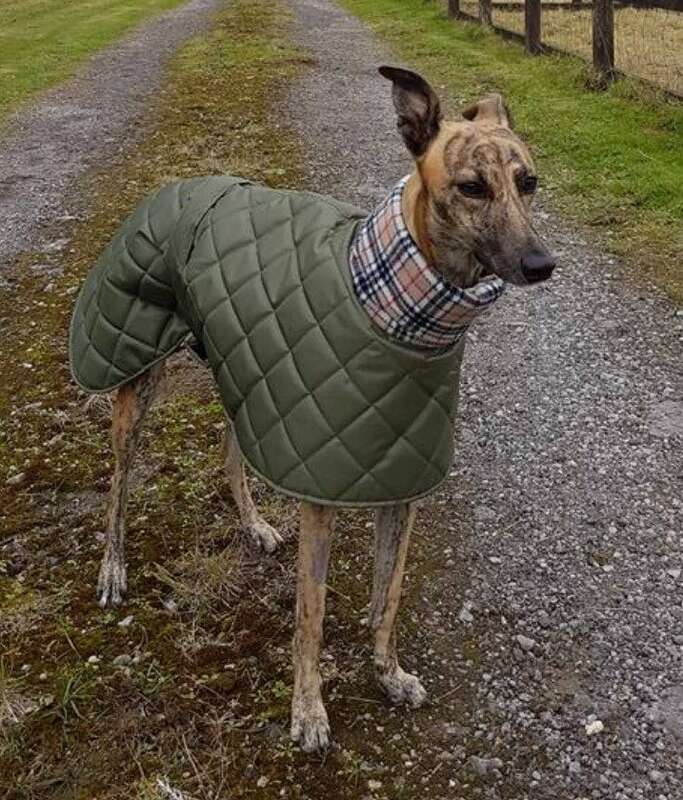 Use the the chest sizes above as a guide.To check the chest size is suitable for your hound.Measure from the spine down one side to where you want the coat to sit. 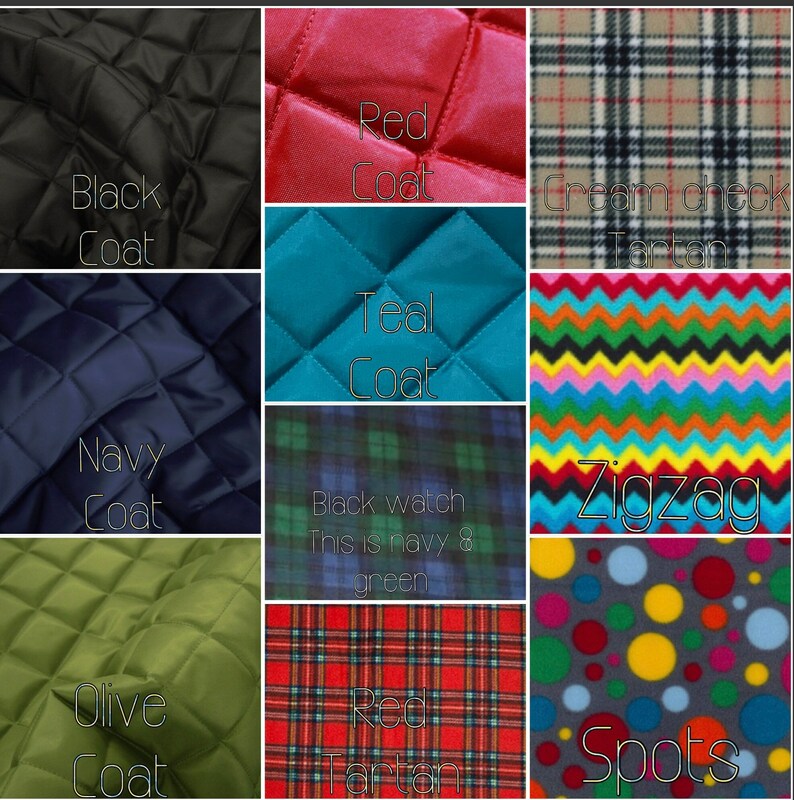 (THEN DOUBLE IT).If the sizes above are to big or not big enough let me know and I will adjust it to fit. See pictures to help you with this. You will receive a email with your tracking number when your order as been shipped.